Jason Fix is a Project Engineer at McLean & Schultz with 10 years of experience on civil and structural engineering projects. He has served as bridge and project engineer on a wide range of major highway, railroad and transit structures for Caltrans, LA Metro, SBCTA, OCTA, cities and other public agencies in California. Mr. Fix’s experience includes providing new design, widening, and/or seismic retrofit of more than 15 highway and railroad bridges. He has extensive experience with Los Angeles Metro Design Criteria, Caltrans methods and procedures for analysis, design, retrofit and construction of bridge structures and the American Railway Engineering and Maintenance-of-Way Association (AREMA) code for the design of railroad structures. The projects Jason has worked on include diverse project sites across California and beyond. Below are prominent projects in which Jason has had an important role in. As project engineer, Mr. Fix provided structural design services for the extension of the Metro Orange Bus Rapid Transit Line that is four miles from Canoga Station to Chatsworth Metrolink Station. The project included the construction of bridges (Sepulveda Blvd Bridge and Van Nuys Blvd Bridge), retaining MSE walls for embankment approaches at the overcrossings and stations. The bridges and MSE walls were designed to comply with Caltrans and Metro criteria. The structural elements have been designed to withstand Seismic, Live, and Static Load combinations also while accommodating the proposed transition from BRT (Bus Rapid Transit) to LRT (Light Rail Transit) use in the future. Site constraints due to construction in developed areas of Los Angeles were accommodated to provide a constructible solution while maintaining existing use. Jason, as project engineer, performed structural design review for this project. The channel was designed to meet the Orange County Flood Control Manual and US Army Corps of Engineers design criteria. The project consisted of rehabilitation of the deteriorated portions of the 88-year-old concrete channel and modifications of some portions to increase capacity. The channel was analyzed for loading due to Seismicity, Live Loads, Hydrostatic Pressure due to an elevated water table, and Dead Load Surcharge. Mr. Fix, as project engineer, designed pedestrian bridges to AASHTO design criteria and Retaining walls to CBC and Los Angeles County design criteria. As a member of the design-build team, Mr. Fix was able to meet the necessary accelerated schedule and architectural requirements. In coordination with the architect the proposed exotic woods were analyzed to find equivalent NDS design values so they may be used with LRFD Bridge Design. To accommodate Southern California Edison’s requirements a screen wall was designed, approved, and constructed within months due to streamlining assisted by Mr. Fix’s design. The screen wall met the elevated CBC (California Building Code) requirements for an electrical substation in addition to the Seismic and Wind loads projected for the location. Mr. Fix, as project engineer, determined the geometric layout and widths for traffic staging required for the structures impacted by widening the I-10 freeway for the advanced planning studies. He created preliminary cost estimates, general, and foundation plan sheets. Mr. Fix developed Advanced Planning Reports for over 40 of the structures impacted by the proposed freeway widening. Each Advance Planning Study reviewed the existing structures in their As-Built state, analyzed their ability to accommodate the proposed widening, reviewed their seismic vulnerability, and proposed retrofits along with a suggested structure type to accommodate the freeway widening. The structure impacts were coordinated with the other civil engineering disciplines to allow for proper highway design, hydraulic design, and client requests as required. Mr. Fix, as project engineer, performed design calculations and cost estimates for the Bridge Widening, Tie-Back Walls, Mechanically Stabilized Earth Walls, and a Modified Caltrans Type 7 wall. The design was per Caltrans design criteria which follows AASHTO LRFD Bridge Design Specifications. The Cast-In-Place Concrete Box Girder Bridge was designed to widen the 57 freeway as it crosses Lambert Road. The purpose of the project was to improve traffic flow between Lambert Road and SR-57. Traffic is to be maintained during construction therefore a cast high and lower procedure is utilized. The superstructure was designed to be constructed in a raised position to allow truck traffic clearance along Lambert Road. This temporary case was analyzed for construction seismic and dead loads. The permanent structure was analyzed for Service and Permit Traffic Loads. Mr. Fix, as bridge engineer, provided coordination of the stakeholders, roadway team, and structural team to develop plans and estimates in a reduced time frame. He performed design calculations and cost estimates from the advanced planning state to structure type selection and through to the final design phase. Mr. Fix developed a design for widenings of Madison St. and P Street Undercrossings to meet Caltrans design criteria despite the reduced depth to span ratio. These structures required a custom girder design with the girder to be cast on site, lifted into place, and connected to the existing structure. Each stage of the construction required analysis of the load path as lifting the girder reverses the service load path of gravity loads. Further, due to the reduced depth to span ratio the girder approached compression control capacity limits. To provide a safe structure high strength concrete was utilized and analyzed by Mr. Fix to meet the various design loads including seismic, impact due to vehicle crash, torsion due to eccentricity of the sound wall and vehicle live loading. It is my great honor and privilege to nominate Jason Fix for this award. I have had the great pleasure to work with Jason on both ASCE OC Branch Level and ASCE OC YMF level teams and have always found him to be dependable, efficient and unfailingly helpful to the team and cause. As the treasurer for OC YMF in the 2017-2018 fiscal year Jason’s dedication and commitment to the team made tracking, reimbursing and projecting financials seamless. His Contribution in the E-Board helped take our YMF team to new heights where we received the Outstanding Younger Member Large Group Award in the ASCE Society. While working with Jason on the ASCE OC Branch Programs and Social Committees Jason never failed to come through with Program Event Topics, Speakers and Ideas to help Elevate the OC Branch. With his equal commitment to the Social Committee Events we were able to have a very successful Annual Golf Tournament and Awards Ceremony as well. It is a privilege to know this brilliant and dedicated civil engineer and humanitarian. I feel confident that you will agree that Jason Fix is the most deserving Candidate for this Award. Please feel free to contact me for any additional information you may require. ASCE OC – Programs Committee (2018-Present) – Coordinates with Branch and YMF to set up technical tours and speaker presentations for the local engineering community. ASCE OC – Social Committee (2017-Present) – With the committee organizes the History & Heritage Night, Awards Dinner, and Annual Golf Tournament. ASCE OC YMF – Secretary (2017-2018) – Served on the YMF Executive Board coordinating the Website Committee, Social Media, and Historian. ASCE OC YMF – Speaker Series Committee (2017) – Set up the annual YMF Speaker Series by collaborating on a program and recruiting relevant presenters. Jason has coordinated for ASCE to host the LA Metro DBE/SBE/(MSZ) panel in the upcoming April 2019. This luncheon will bring a representative from LA Metro to explain the methods and benefits of Small and Disadvantaged businesses participating in LA Metro contracts. In February the City of LA will host ASCE for a tour of the Sixth Street Bridge Viaduct. Jason has coordinated with the City Engineer to host the tour on the active construction site while providing a benefit to the Engineering community to see this unique project as it is being created. December 2018 held the Kenneth Hahn Park to Playa Bridge Design Build presentation. Jason coordinated with the presenter to share the challenges on this unique Design Build project. The challenges of meeting the requirements of multiple stakeholders with a cohesive team was discussed. In October 2018 the new Banc of California Stadium construction was presented. Jason recruited the Construction Manager to show how Los Angeles’s newest stadium was built on time despite the challenges on building in the existing Exposition Park site. This follows the June 2018 tour of the completed stadium which Jason coordinated with the Construction Team. The September 2018 luncheon was coordinated by Jason covering the LA Metro Regional Connector. The challenges of constructing the new Metro station in downtown Los Angeles were presented. The tunneling procedure was outlined providing the Engineers with a technical understanding of the procedure required to safely drill in a congested metro area. Jason has contributed to the Social Committee helping the increased success of the annual events. The Golf Tournament has increased its revenue and participation since 2017. Jason has directly coordinated the golf cannon at a hole, recruited returning players/sponsors, and helped at the day of the event. For the History & Heritage Night he co-led the Student Outreach. Providing a countdown email blast to the students with timely information regarding resume writing, job fair networking, and pointing out the campus opportunities to prepare for the job fair at each college. For YMF Jason has facilitated the CalCPA Financial Workshop speaker for December 2018. This presentation covered the financial questions young professionals have in making the transition to the working world. In the Speaker Series Jason recruited two of 2017’s speakers. The first presentation covered the design and construction of the Shanghai Disneyland resort. It covered aspects of working on an International Project and with the Disney Corporation. In addition, the second presentation was on the Port of Long Beach and its modernization of the Port in order to move more containers through the constrained site. Jason has been involved with helping out the community and giving back. He is currently the Local Projects lead with Engineers Without Borders-Orange County. Jason Fix is a Project Engineer at McLean & Schultz with 10 years of experience on civil and structural engineering projects. He has served as bridge and project engineer on a wide range of major highway, railroad and transit structures for Caltrans, LA Metro, SBCTA, OCTA, cities and other public agencies in California. Mr. Fix’s experience includes providing new design, widening, and/or seismic retrofit of more than 15 highway and railroad bridges. He has extensive experience with Los Angeles Metro Design Criteria, Caltrans methods and procedures for analysis, design, retrofit and construction of bridge structures and the American Railway Engineering and Maintenance-of-Way Association (AREMA) code for the design of railroad structures. The projects Jason has worked on include diverse project sites across California and beyond. Locally he gives back by coordinating the San Diego Safari Park Bridge Railing retrofit project with EWB OC. Jason Fix attended UC Irvine for his bachelor’s degree in civil engineering and Cal State Fullerton for his master’s degree in civil engineering. Mr. 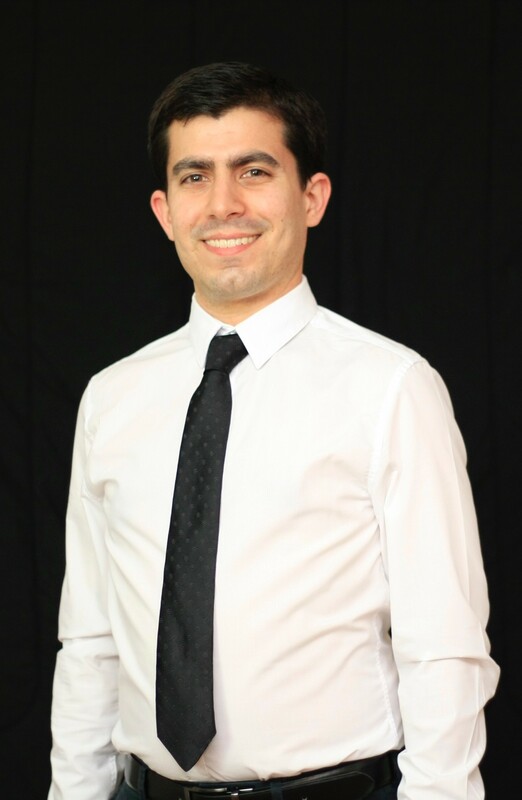 Fix has been an active board member of ASCE Orange County Younger Member Forum and recently completed his term as the Secretary of ASCE OC YMF. He helped ASCE OC host many recent events including the Banc of California Stadium Tour, Financial Workshop, and LA Metro Regional Connector Presentation. Currently, Jason serves as OC ASCE Programs Committee Member and EWB Local Projects lead coordinating projects, events, and presentations to benefit the local Engineering Community.